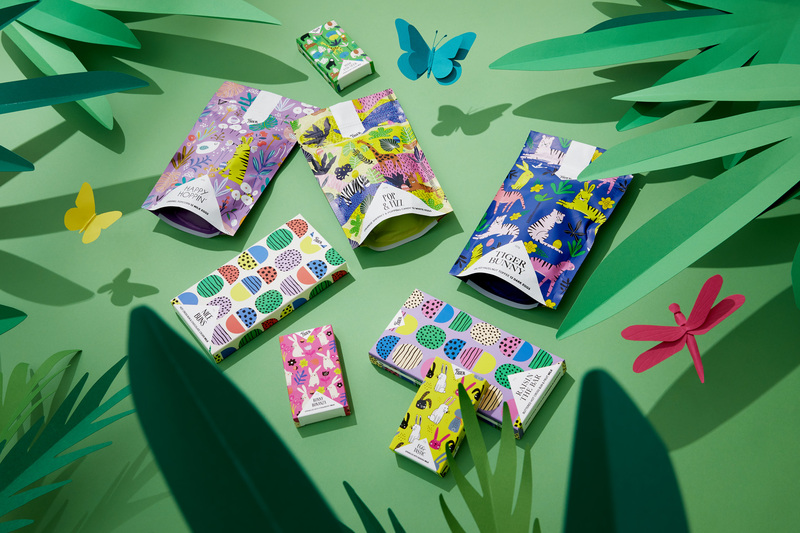 Our friends at Hey Tiger are pretty amazing—they create delicious chocolate that gives back, operating as a social enterprise to create a positive impact on the world. And they've just recently celebrated their first birthday, which is a huge milestone. All that said, let's get back to what's really important here: chocolate. After months of work, the Easter Tiger presents her very first Easter Collection. Get hyped because it all looks delicious. We’ve taken the liberty of breaking down the products one by one, so you can get an extensive look at each unbelievable flavour combination. First up, Easter Tiger is here to elevate your egg hunt with the mini Easter egg range, giving you three sensational flavours to choose from. 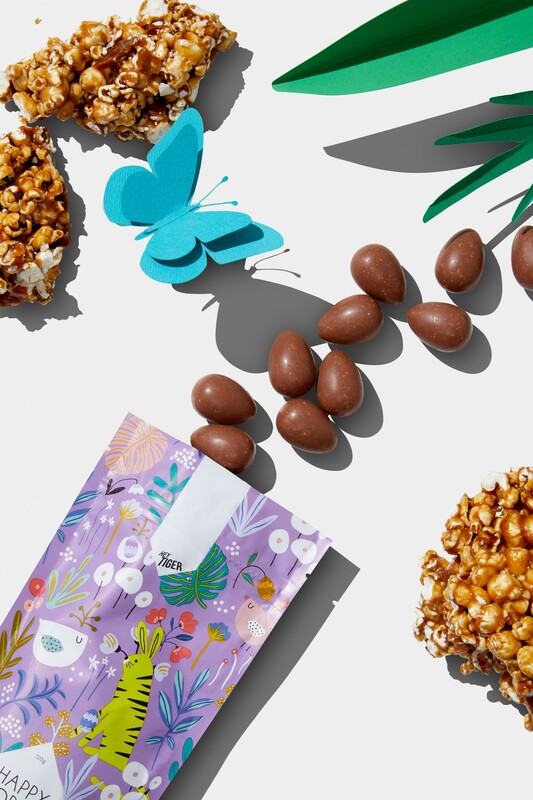 Pop & Fizz—orange sherbet and popping candy with white chocolate, Happy Hoppin'—caramel popcorn and a hint of sea salt with creamy milk chocolate and Tiger Bunny—salted hazelnut toffee wrapped in delicious dark chocolate. Look, we suggest taking the hard choice out of it and getting all three. Easy. Easter Tiger is also bringing along some brand new mini bars. 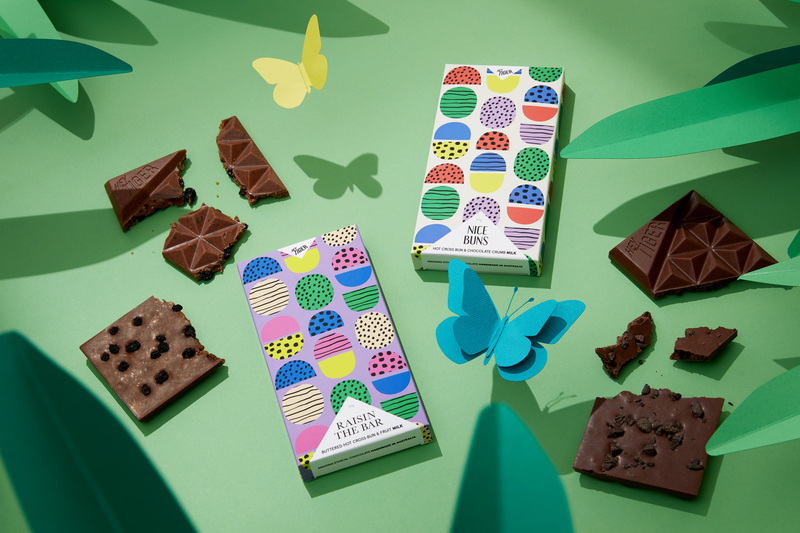 All with a base of creamy milk chocolate, each flavour has a fruity pop; Bunny Bonanza features a sprinkle of strawberry, Eggtastic features a sprinkle of banana and Hide and Seek features a sprinkle of orange. And finally, a mouth-watering addition to the Easter Collection, two Hot Cross Bun Bars. The team at Hey Tiger have everyone covered, offering an option with fruit, and one without. 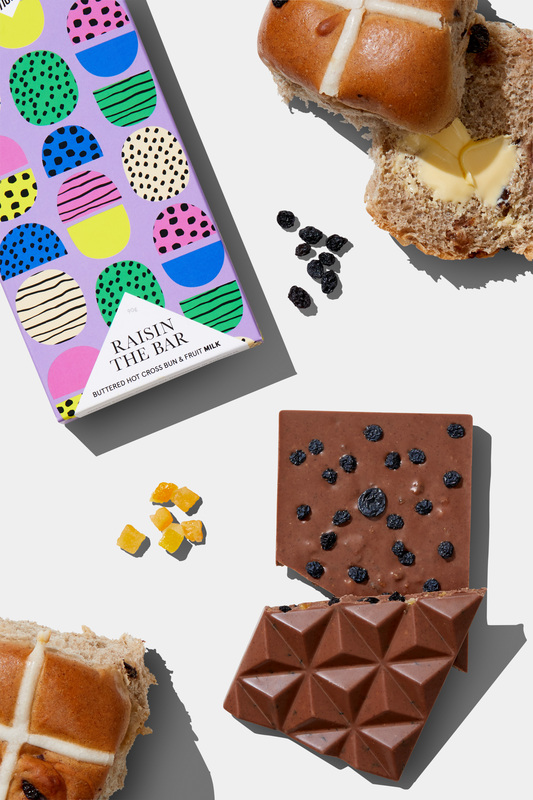 Raisin The Bar is sweet, spiced and buttery, with buttered hot cross bun crumb and fruit mixed into Hey Tiger’s signature milk chocolate. But if fruited hot cross buns aren’t your vibe, that’s cool, you’ll want to opt for Nice Buns—hot cross bun (sans fruit) with extra chocolate crumb. 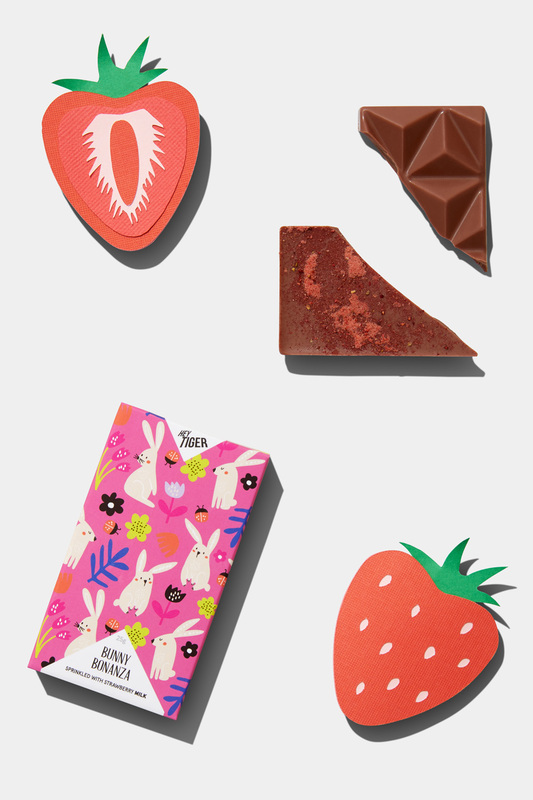 Making the lives of us chocoholics much easier, the crew at Hey Tiger have put together a range of different packs and bundles to accommodate your chocolatey needs—you can cop the full range, the Easter eggs, three bars, five bars, twenty bars, really the sky’s your limit, and we won’t judge. Hey Tiger’s Easter collection is available to purchase online now.